On behalf of Admin of JML Law, A Professional Law Corporation posted in Truck Accident on Tuesday, Sep 11 2018. While technological advances are generally making the world a safer place, not much has changed in the world of commercial big-rigs. Driving a semi-truck or sharing the road with them have always been dangerous situations, and that remains true even in modern society. Big rigs are a massive and imposing presence on the highway, being both unpredictable and bulky. Even after decades of use, the collision rates for semi-trucks are high, and truck crashes are among the most serious and deadliest collisions in the state of California. 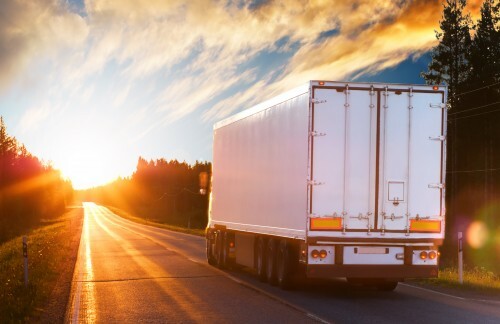 However, most semi-truck accidents could have been avoided and are caused by a preventable error on the part of the trucking company or truck driver. It’s often more profitable for trucking companies to push their drivers past legal limits when it comes to sleep, speed, and truck weight. If you believe your accident was caused by a negligent big-rig company or driver, contact a Los Angeles truck accident attorney to discuss your eligibility for compensation. In the meantime, we hope to help you avoid becoming a victim of a semi-truck collision by providing you with the five most common causes of semi-truck accidents. Truck driver fatigue is the most common problem leading to semi-truck accidents in California. It’s such a serious problem that federal and state legislatures have tried to get tough about how many hours truck drivers can be behind the wheel. Regulations require that a driver get a certain amount of sleep and take plenty of breaks before returning to work. Unfortunately, these rules are difficult to enforce until an accident has already occurred. Commercial truck drivers are just as guilty of speeding as passenger vehicle drivers. The difference is, with their size, it becomes a much more dangerous situation. At high speeds, a trucker may lose control of his or her vehicle. A big rig’s higher center of gravity makes it more susceptible to rollovers, which can be catastrophic on a busy freeway. High speeds can also cause a truck to jackknife, making it impossible for the driver to regain control. Truckers get road rage too. When putting in long hours, they often find themselves angry, frustrated and running behind schedule. This can cause them to weave in and out of traffic, follow another vehicle too closely, run red lights and stop signs, or excessively use their horn, among other dangerous actions. Because trucks can’t stop as quickly as other vehicles, these aggressive behaviors can have devastating consequences. Drivers of passenger vehicles aren’t the only ones tempted to sneak a peek at their phones. Truckers may also drive while distracted by texting, email, adjusting a music device, talking on the CB radio or phone, and eating, as well as other activities. A distracted truck driver is a danger on the road. By law, they must remain vigilant in avoiding distractions while driving. Otherwise, they can be held responsible for negligent driving. Your Los Angeles truck accident attorney can help you sue for compensation to cover your medical expenses caused by a distracted driver. In California, there is an exceedingly high rate of truck driver DUI arrests. You may immediately think of the excessive use of alcohol, narcotics, and illegal drugs, but many drivers are impaired by over-the-counter or legal prescription medications. The driver may not realize how the drug will affect them until they’re on the road, especially if it was prescribed by a doctor. If a medication can make a driver drowsy or impair their judgment, they should avoid taking it while driving so as not to cause an accident. If you or a loved one have been seriously injured in a California semi-truck accident, JML Law can help. Our Los Angeles truck accident attorneys will do everything in their power to make sure you’re fairly compensated for your injuries and suffering. We offer a free initial consultation and work on a contingency fee basis, so if we don’t win your case, we don’t get paid. Call us today at 818-610-8800 to discuss your legal options.